Already for many years government departments like police, special tasks forces, military and intelligence squads rely on this sophisticated set with its comprehensive scope of equipments. 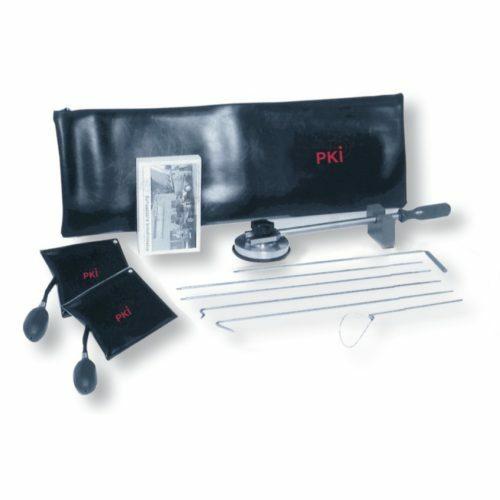 PKI ELECTRONIC INTELLIGENCE recommends this set to each of these departments for European cars of latest generation with or without “Safe- Guard-Locking”. The PKI 9520 is a full set of car opening tools, accessories and illustrative documentation on videos and booklet. All parts are packed in an artificial leather bag for carrying and storage.